I think this is a lovely example of a local windmill. 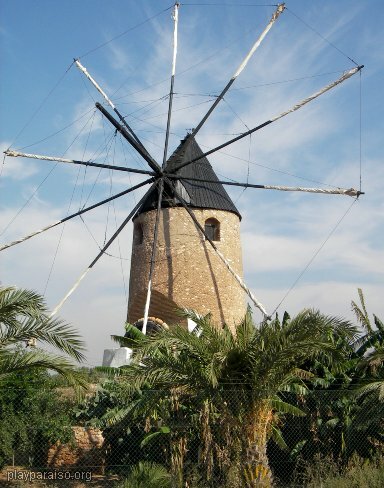 It is on a minor road between Los Urrutias and El Algar and is marked on the tourist map. It has either been very well maintained or renovated and looks to be in working order. However, there are no notices to tell you anything about it or even its name.